From stainless rigging hardware to quality marine hardware, our stainless steel hardware will meet and exceed expectations. USA made stainless steel components and custom stainless steel parts are our specialty. We are constantly developing our product line to reflect the ever-changing economy and industries we provide stainless steel hardware to. Our in-house capabilities include a product development staff, whose tireless efforts, along with valuable input from our clients, work to continuously improve and perfect our product line. 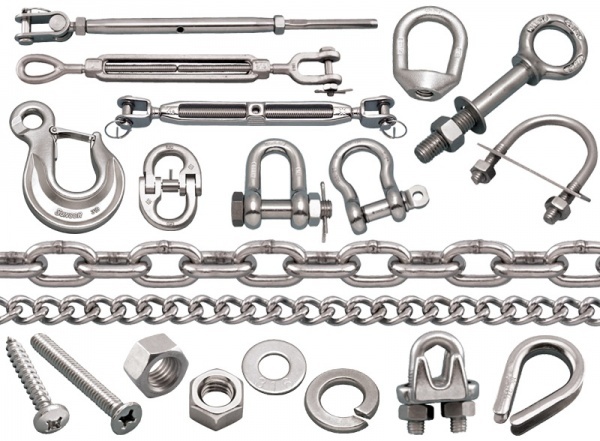 RC Fasteners & Components is your authorized distributor for Suncor Stainless and all your marine hardware to rigging hardware. Download the catalog here, find what you need and request a quote. We'll get you the best price and delivery.